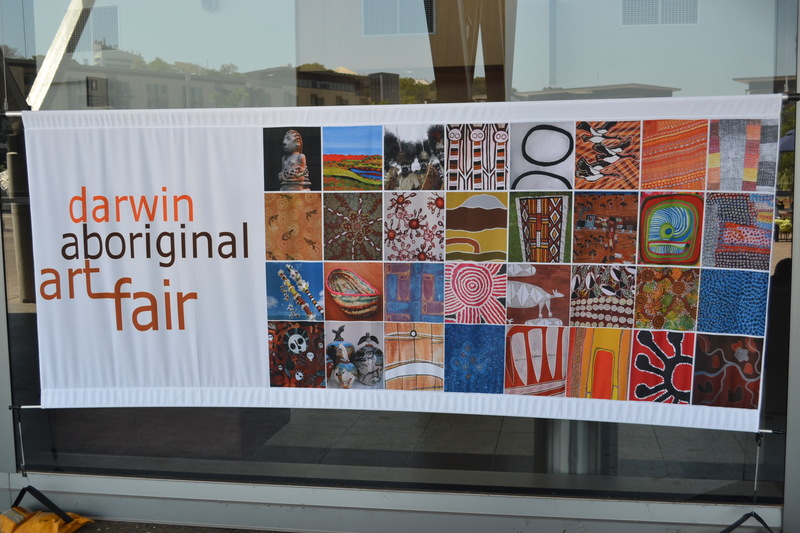 Last weekend was the Darwin Aboriginal Art Fair and what a great display of Indigenous Art and handwork it was! We did manage to leave without raiding our bank account too much but it was oh so tempting. Our daughter just missed out on two separate paintings from communities where she’s taught previously but luckily we managed to track down one copy of the limited edition print in Sydney…Excellent! 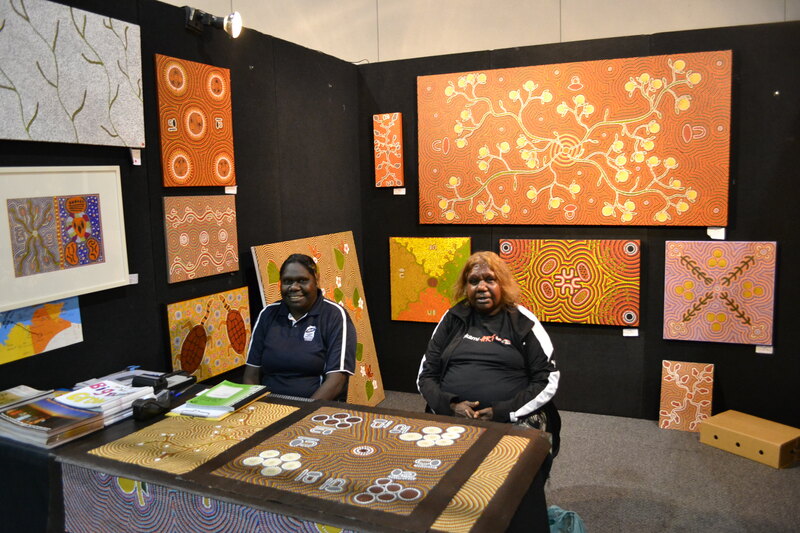 It’s amazing just how many art centres there now are scattered through the Northern Territory and Western Australia, and many were represented in the show displaying fish baskets, woven baskets, woven mats, paintings in oil and watercolours, animals woven from pandanus or cloth, plates and bowls with Indigenous painting and so on. 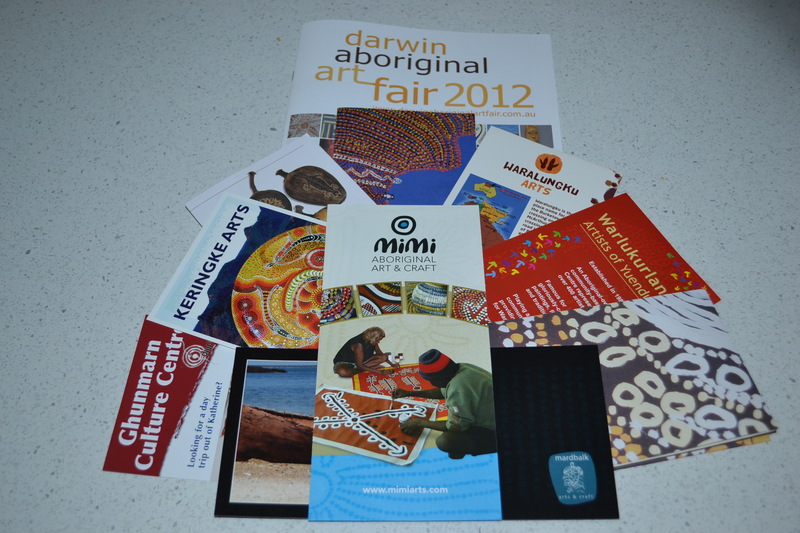 Just some of the art centres which were represented. If you’re interested you can always google the name, as many now have an online presence. Outside the Convention Centre there were people working on weaving and fabric printing. While I asked for permission to take photos I didn’t ask if I could put them on the blog so can’t really include them here. 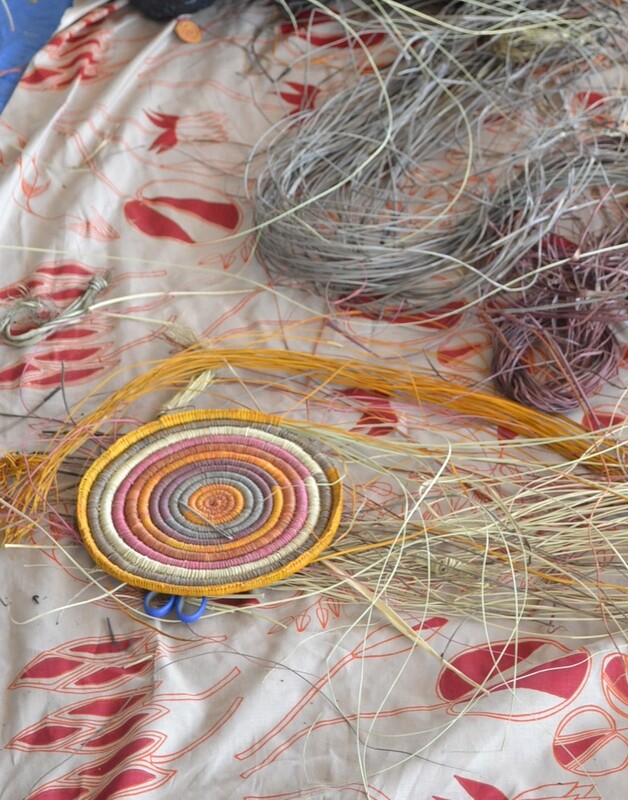 The start of a woven mat or basket.